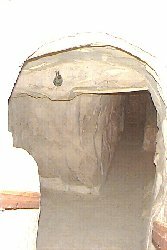 When you enter the antechamber and turn around you can see the vaulted ceiling leading back up the passageway. 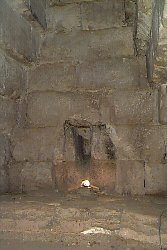 The antechamber is also roughly hewn, and there is a niche-like shelf to the right side. 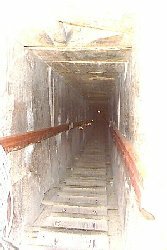 Through another short passageway you can see the the ladder that leads to the main burial chamber. As you climb up the ladder the temperature rises slightly. 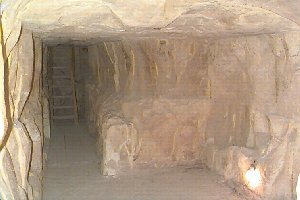 As you enter the main chamber you can see the first traces of a corbelled roof inside a pyramid. At points in the ceiling you can see the remnants of wood over 5000 years old straddling the upper courses. 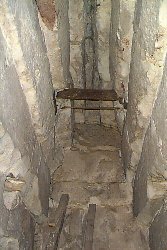 Perhaps this was used to lower the lid onto the sarcophagus and also for the workers to climb in and out of the chamber. 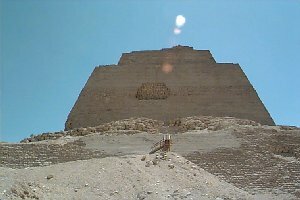 Ironically, if the pyramid was ever used it could have also been used by the very looters that plundered the burial. The cut of the courses in the corbelling is rough, yet it it still has an thrilling impact when you first see this. 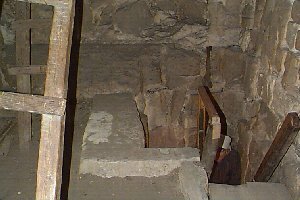 The floor bears traces of a space that was possibly once occupied by a sarcophagus, but it is not certain that this pyramid was ever completed or that any king was ever buried here. 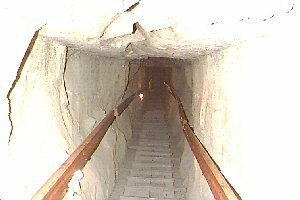 You have visited the interior of the first "true" pyramid. 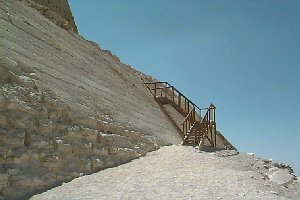 Perhaps started as a step pyramid, this pyramid was the first one known in Egypt to have had the steps filled in to create a smooth true pyramid. 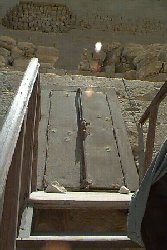 It appears from the exterior as though the steps themselves may have been covered with a smooth outer casing which may either explain its collapse or the ease in which the casing was stripped away and quarried as building materials in later structures.